A post slug is the part of a post’s URL after the .com (or the .blog, .org, .net, or whichever kind of address you use). WordPress generates one for you automatically based on your post’s title — but if your post has a very long title, it will also have a very long URL. Now, you can edit your slugs in the apps to shorten them. 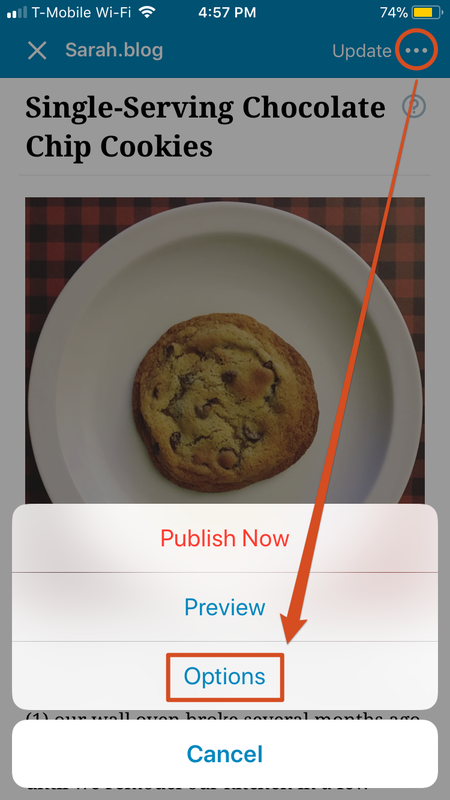 You can also add and edit excerpts — little summaries of your posts — in the app. Some themes display post excerpts on your home page; if yours does, you’ll want to add one to each post. They also display in the WordPress.com Reader, giving you more control over what appears there. To find the slug and excerpt in the apps, go back into your post’s settings: head to a post and tap on … → Options (iOS) or on the gear icon (Android), Scroll to the bottom of the screen to find the slug and excerpt options. Lots of themes use Featured Images to draw readers’ eyes to your posts and pages. And when readers share your posts, the Featured Image is often used by Twitter, Facebook, and other networks. It’s the first part of a post most people see, and plays a big role in whether people decide to read. To add a featured image to a post, open a post and go back to — you guessed it! — …→ Options (iOS) or the gear icon (Android). You can change an existing featured image there, too. The apps have seen several changes to make them easier to use, including better button and image descriptions for screen readers and improved zooming to increase text size. If you’ve had trouble with small text in one of the apps before or found something to be inaccessible, give it another try and be sure to let our support team know if you see areas where we can improve further. If you have any questions, you can reach our support team right in the apps by going to Me → Help & Support → Contact Us. We’d love to hear your feedback! 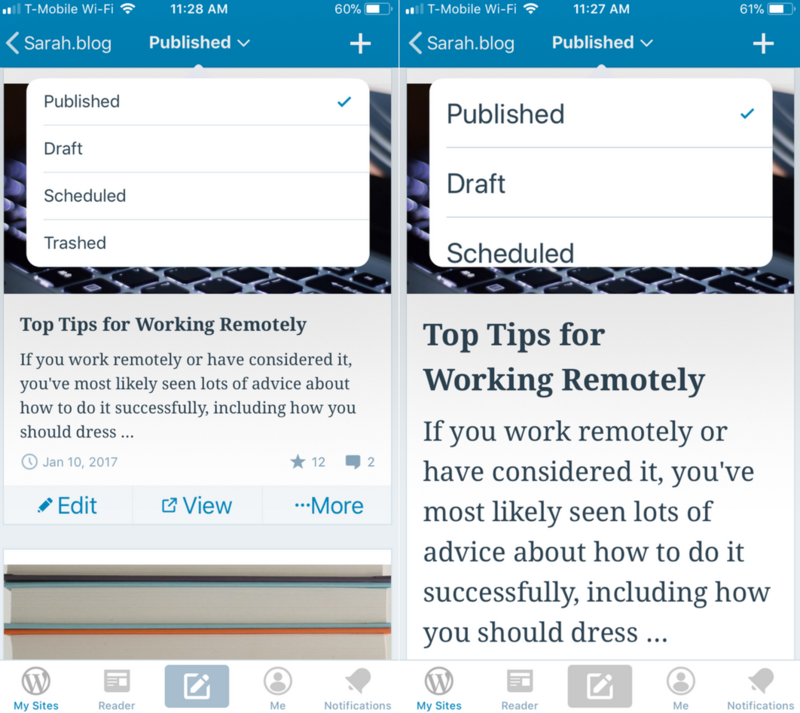 Don’t have the WordPress mobile app yet? Download it here.